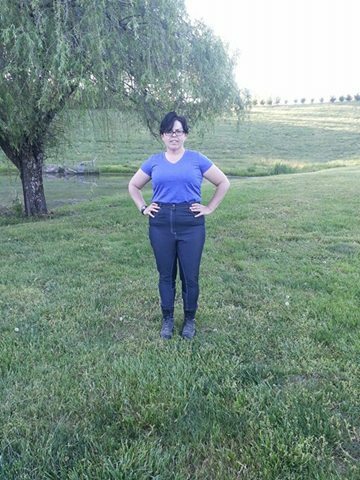 This time I review the Norma Jean Breech from Fuller Fillies – it was actually named after Marilyn Monroe! When I originally received these breeches and tried them on, they fit but I’ll be honest, they were a bit snug! Since then I’ve lost weight and they’re a good bit more loose than they were before. The first question you have to ask is are they a breech, or are they jeans? Well, they’re a bit of both! They’re made out of a light denim jean material but they fit just like a pair of breeches. This is a great summertime breech as the material is lightweight. However, don’t let the lightness of the material fool you – it’s a breech that will old up to a lot of wear and tear in riding. One thing I like about this breech is the contrast stitching. They’re cute! Definitely not a boring old breech! Love the contrast stitching on these! Having worn these when I was several pounds heavier, and getting to see the difference in fit, I will say that if you order this breech you’ll want to go a size or two larger than what you think you’ll need. They fit MUCH better with a little extra room. The leg length is just right for me and the thin velcro closures at the ankles lay flat under half chaps and boots. The only down side of this breech is that I have a short waist and these breeches are too long through the stride. I found myself constantly pulling them up! Norma Breeches – you can see they’re a tad long through the stride. The price of this breech runs a little more than the Roamer breech I reviewed below, but not by much. Considering the styling and quality of this breech, I think it’s a great value for the price. Earlier this week I received the first shipment of Breeches & a pair of Half Chaps from Fuller Fillies. In the next few weeks I’ll be sharing my experience with wearing and riding in each of them. The Roamer Riding Tight is the first one that I’ve tried. These breeches are £25.00 – I’m reading my converter correctly, that equates to around $35.00. Let me just say this breech is WELL worth that! You normally wouldn’t catch me dead in a pair of breeches without a jacket or at least a big tee shirt, but I can make the exception for these breeches! I showed hunter on the flat for several years, and even took Eventing lessons for a while. Let me just say, in my quest for for a decent fitting breech that wouldn’t break the bank, I came away frustrated! It’s hard to find a breech that fits curves for under $100.00. Not all of us have that kind of money to spend! These Roamer riding tights are substantial enough to hold you in without being so tight you can’t move.They’re a nice thick breech that flatters and just fits well. I didn’t feel like I had to tuck my shirt in or wear something long enough to cover my hind end. I can easily see me wearing these breeches to a schooling show with my shirt tucked in. Next time I’ll share my experience with another set of breeches. In the meantime you can visit the Cowgirls With Curves Facebook Page to get a small preview of what they look like! 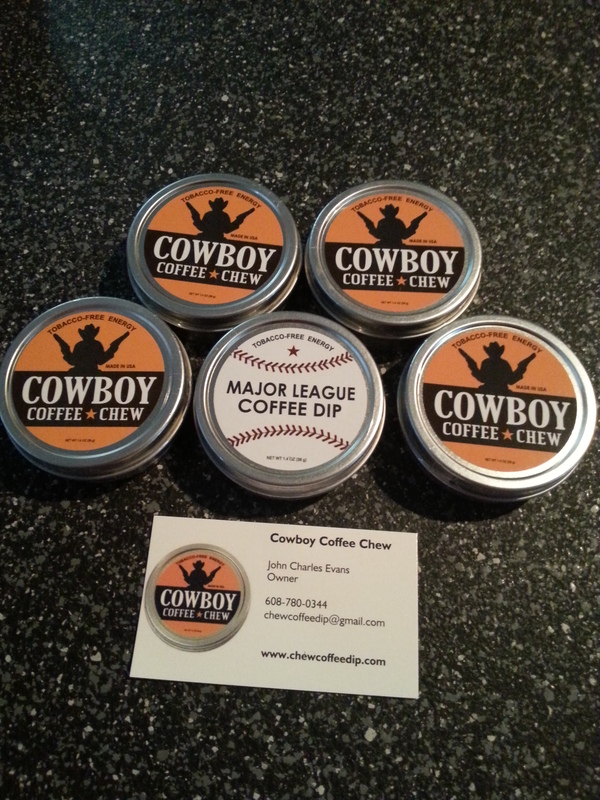 Earlier this year I ordered some Cowboy Coffee Chew in an attempt to get my husband off of his regular Skoal. 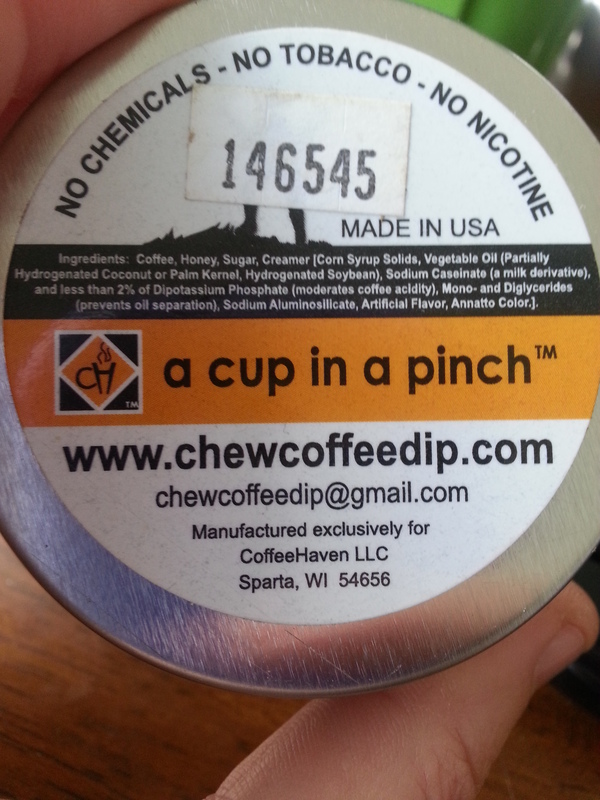 Advertised as a cup of coffee in a pinch, and a great alternative to regular smokeless chewing tobacco, I figured it would be a good way to get him off his dip. With a list of simple ingredients that included coffee, honey, sugar, creamer I figured it would be something that my husband might like. Straight out of the can! I’m an even bigger coffee snob than my husband, so when I saw the dip & smelled that wonderful coffee smell, I had to try it myself! 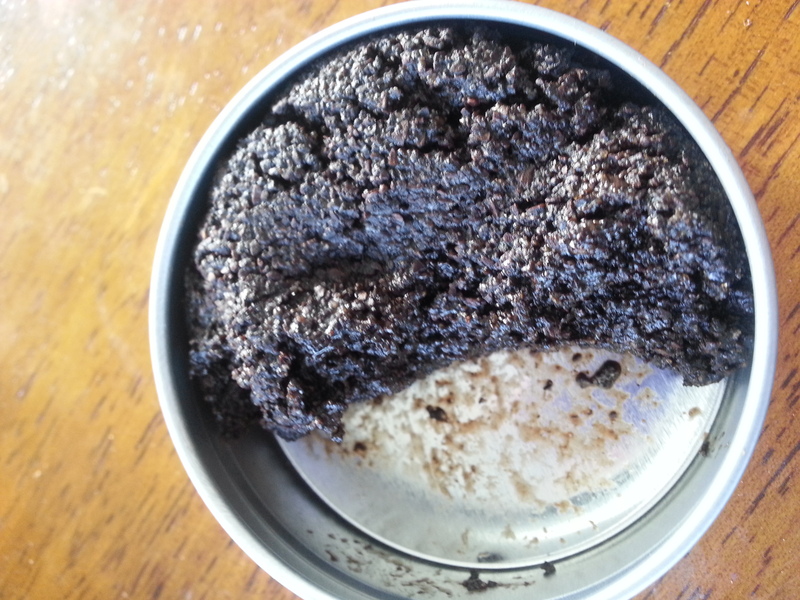 You just put a small pinch between your cheek and gum and enjoy the coffee taste for a long time. Although you might have some small pieces of coffee in your teeth afterwards, it’s well worth the taste of coffee and it’s a great alternative if you’re craving something sweet. I enjoyed the interview with Candace Larson about her store, Sassy’s Rustic Sweets. 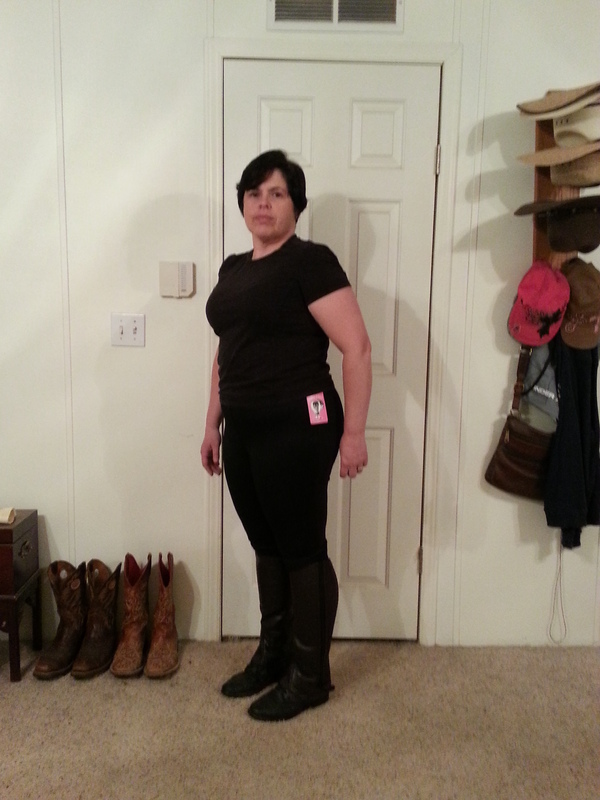 Candace carries western style clothing in plus sizes – the black knit knit is my personal favorite! As a curvy girl herself, I think Candace relates first hand to the fit issues we have as cowgirls with some curves. What are the best-selling plus size items that you carry? Our number one selling item, in all sizes, is our leggings. They are durable, affordable and trendy. 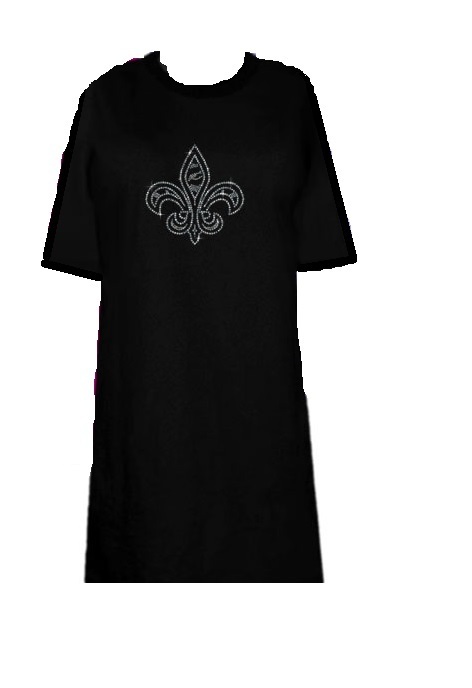 We have women from size 0 to 3XL and we are purchasing these daily. 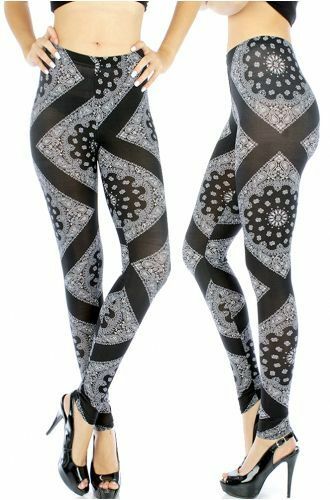 We have over fifteen colors and styles at this time however, the three most popular are our Pink/Purple Tribal Print, Black and White Paisley and the White and Black Diamond (see below.) Next month the top-selling item could be a new arrival, however for the most part the leggings are still a hot commodity for all shapes and sizes. 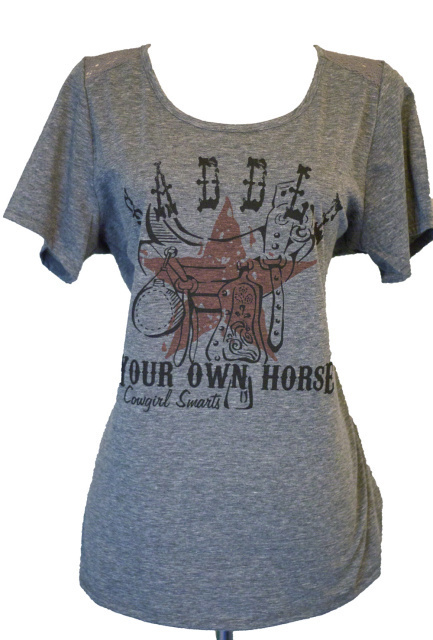 Our second item is our Saddle Your Own Horse shirt (see below) The fit is stylish, comfortable and breathable. 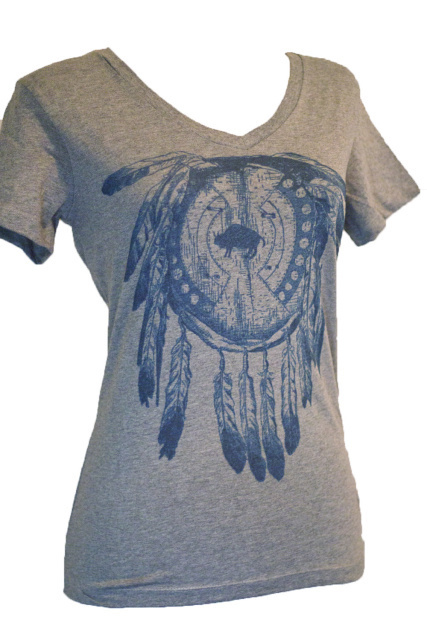 Third on the list is the Buffalo Dreams Tee (see below.) I personally, love this shirt as well. It is a fitted tee that allows us curvy girls to show off our stuff without looking too roll-ey, if you catch my drift. Since it is only a ‘slightly’ fitted tee, it has just enough stretch to allow us to be comfortable while keeping true to form (nothing worse than getting a fitted tee that doesn’t have room for the girls! 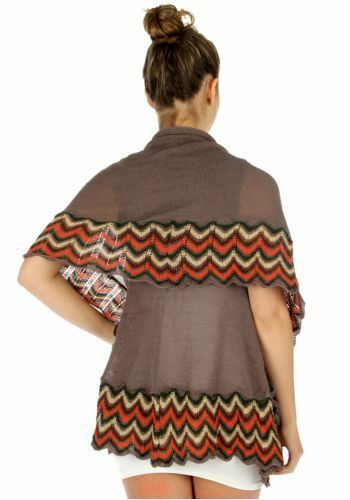 Finally, Knit Vests or Shawls (see below) are always flying off the shelves regardless of colors or patterns. The freedom women have wearing these is phenomenal. They are lightweight and extremely versatile, and what woman doesn’t like that? Why do you think your best-selling items sell so well? The quality of our merchandise is truly remarkable and our prices are reasonable, which is why our customers have become so loyal. As a matter of fact, most items have NO price difference between a small and 6XL , which is why we have a hard time keeping our Plus Sizes in stock! What do you feel is the biggest hurdle that plus size women have when it comes to finding clothes that fit and make them feel beautiful? Every woman is made differently and we all have our trouble areas that clothes either seem to accentuate or improve. However, Plus Size clothing can be similar to algorithms, as they are circumstantial and depend on numerous of factors. The most important combination however, is the upper vs. lower fit along with a proper length. While this seems like an easy concept since Non-Plus Size clothing has this mastered, it is the most frustrating process of buying plus size clothing! As a curvy girl myself, I rarely see the perfect fit as the length is either too long or too short. It seems like the larger in the size the blouse the weirder the length gets. It’s either way too long or just long enough to cover up the belly with no room to raise your arms without flashing the neighbors your goods. Here at Sassy’s Rustics we have kept this in mind and try our best to find designers that understand this battle. Our blouses are not only in style, they truly fit women of all shapes and sizes. Regardless of size, when a woman looks good, she feels good and vice versa. What is one item that you feel like makes a plus girl absolutely beautiful? This is a tricky question because we truly have a wide variety of women whose fashion trend varies. However, I have noticed that most of our curvy loyal fans absolutely love our jewelry line, particularly the bracelets. This can be an area where real women feel neglected in because not everyone’s wrist is a measly 6 inches in circumference. Furthermore, our trendy purses also have a wide variety of shoulder strap lengths to accommodate every need. How is your business different from other businesses out there that carry plus size western clothing? Unlike a lot of stores we don’t have a separate line between our Non-Plus line and our Plus Line. Over 40% inventory goes from Small up to 3XL on the same item, and in some cases up to 6XL . I personally love this because it is really exciting to be able to order matching tee shirts for a party when myself and my friends range between a medium to a 3XL . What are your future plans for meeting the needs of real size cowgirls out there? Like any company it is crucial to listen to our customers. We value feedback and we watch the return rates, which are low. However, when things do get returned we really take the time to find out why. For example, was it a fitting issue, and what was the main concern? If we start to see the same product getting returned again and again then we will discontinue the item and find a new vendor to provide stylish fashion for our loyal customers. Like I mentioned before, Plus Size clothing is very unique and not a one size fit all as length is hard to predict. However, we at Sassy’s Rustic keep this in mind when ordering our inventory because no one wants to wear a tent or a crop top for a blouse!